Anna Sabino is an artist, but certainly not a starving one. She wasn’t born into a wealthy family, didn’t inherit money from a distant relative, and doesn’t have a rich husband. But she made it as an entrepreneur, as a single woman, and most important, as an artist. Your Creative Career took me a bit by surprise at first, as the opening seemed to be more pep talk than anything else. 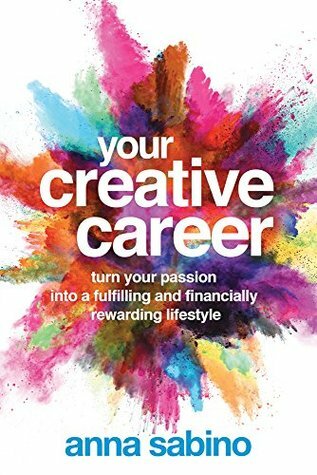 However, as the chapters progressed, the author did provide practical advice, looking at the issue of creative entrepreneurship from a variety of angles. I didn't get a huge amount out of it personal, as it wasn't really geared towards someone doing what I am doing. Nevertheless, I can see that it would be a useful resource for someone looking to set up an Etsy store as a second income stream and/or attempting to build a business around a creative pursuit. It was well laid out and easy to follow, and overall I would give it 3.5 stars.